Every time I go to a wedding, I try to think about the love. I try to focus on the whole notion of "two people, from vastly different walks of life, committing to spending the rest of their lives with each other" business. I tell my mind to stay on the wise words of the [insert-name-of-religious-leader-or-non-religious-ordained-by-the-internet-friend-here]. I try to join in the oohing and aahing over the cute flower girl and ring bearer. But inevitably, my mind drifts to the post-service reception, and more importantly, the feast that is to follow. Don't get me wrong. I like love. I just like steak more. The hubster and I have been blessed with a super diverse set of friends. It's been great for all the warm, feel good reasons like learning about different cultures and being a part of other traditions. But most importantly, it's meant we've been a part of some epic wedding feasts. Everything from Indian to Afghan to Japanese. I thought I'd seen (and eaten!) it all. 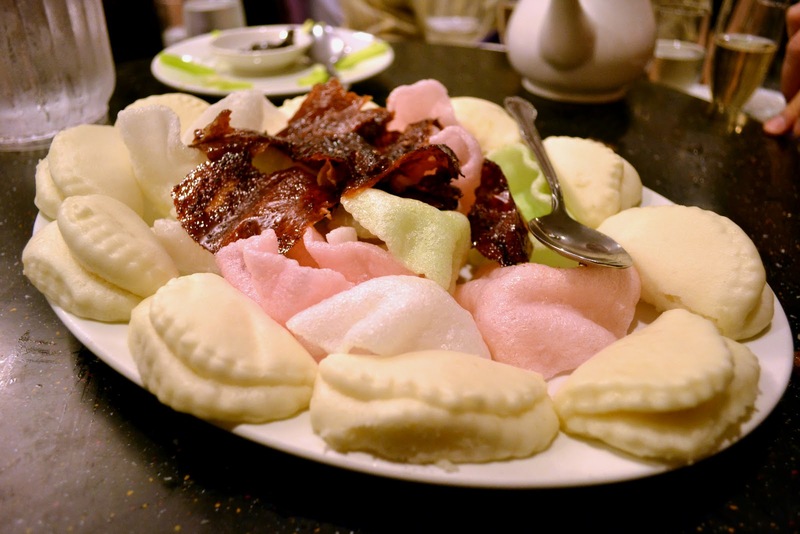 Until I met... the Chinese wedding banquet. Let me put this into perspective. The average wedding feast can be divided into two general categories. The sit-down meal vs. the buffet. Each option comes with its own set of pros and cons. With the sit-down meal, course after course is brought to you (which is great because it can be uber embarassing to slip in high heels, on a shiny hardwood floor, carrying a plate of rice. Not that I know this from experience or anything. I'm just saying that sounds like it'd be rather traumatizing). The only downside is, you generally pick your entree ahead of time and you're pretty much outta luck if your neighbor's entree looks better. With the buffet, you can pick your favorites (and go back for seconds! Again, not saying I would ever do anything quite so crass but one could go back for seconds, if they were so inclined). The downside is, it kinda feels like you're standing in the never-ending line at Sweet Tomatoes. Enter, the Chinese buffet. Ten courses. Brought to your table. Served family style. Dear Lord, I now know what heaven must be like. When the hubster first described the concept, I thought he was mocking me. I mean, it all sounded too good to be true. I didn't have to brave the food line. I didn't have to pick my entree ahead of time. And the seconds were right. in. front. of. me. Like I said, too good to be true. And then last weekend, I found out such a concept actually exists. Once the table of friends realized I was a banquet newbie, they started educating me in the art of the Chinese wedding banquet. They said most wedding banquets follow a pretty predictable pattern. Appetizers. A soup. A couple of entrees. Oh, and a rice course which is pretty much a formality because if banquet is prepared properly, the guests are far to stuffed to eat rice at the end of the meal. And dessert, of course. They also said most Chinese wedding banquets are heavy on the seafood. Which was a-okay by me. And once the platters started coming and they saw my amazement, they were all too happy to let me take pictures before attacking the food. Course 1. 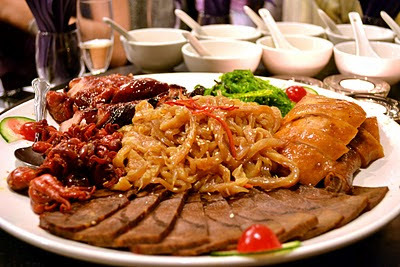 The massive appetizer platter with preserved beef, braised chicken, roasted pork, seaweed salad, baby octopus, and a giant pile of jellyfish in the middle. All served cold. All interesting, with the jellyfish being surprisingly tasty. Course 2. 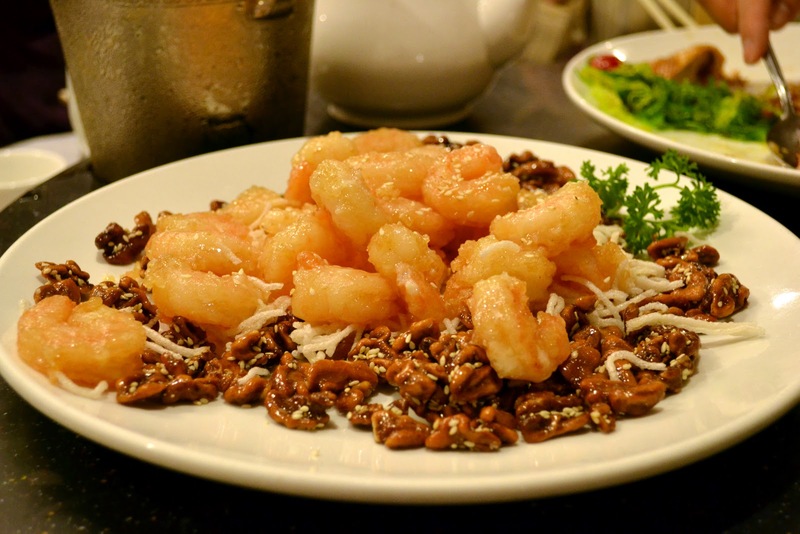 Jumbo prawns and glazed walnuts in a honey sauce. Next time, I'm asking for a platter of these for myself. Course 3. Braised sea scallops and clams on Chinese greens. This dish was somewhat mild after the delicious prawns but the scallops were cooked perfectly. And I even tried some greens. Course 4. 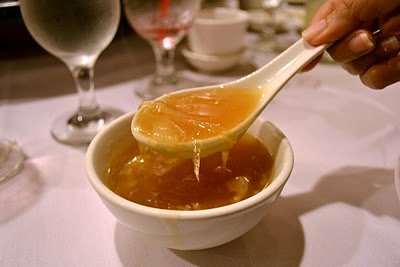 Shark fin soup. The table raved about how this was good shark fin soup because you could see lots of chunks of fin but this course was totally lost on me. 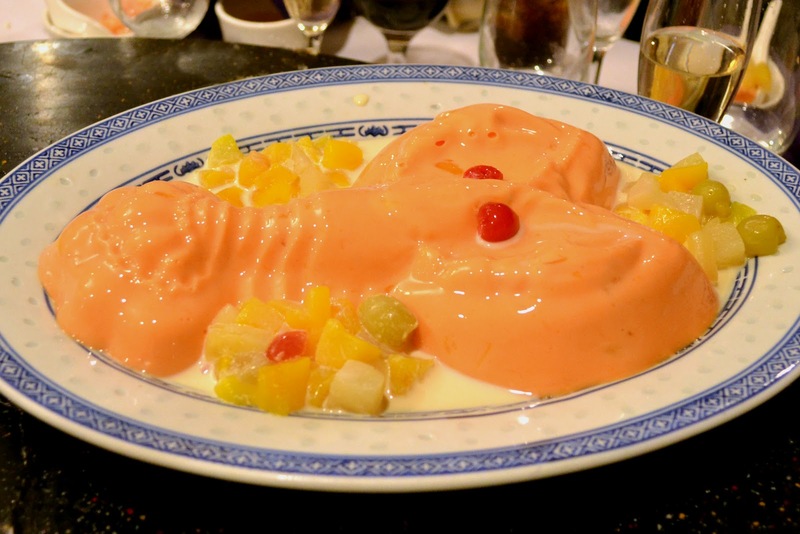 It mostly tasted like a gelatinous, fishy pudding and I was sad some shark gave up its fin for a philistine like me. Course 5. Lobster. Not one but two lobsters, broken up into pieces. And just in case you're looking for the lobster cracker, don't bother. You need to use your fingers, your fork, your chopsticks, your Swiss Army knife, or any other suitable tool to get at that lobster meat. And this is perfectly acceptable dinnertime behavior. Course 6. Duck skin. Yup, you read correctly. The duck skin is so widely appreciated, it's a course all on its own. Crispy, crackly, fatty duck skin, served with buns, scallions, and hoisin sauce. You pull the bun in half, spread a thin layer of hoisin sauce, layer on a piece of crispy skin, top with some scallions, and devour. The platter of duck skin is followed by the actual duck. Clearly, I was still trying to come out the delicious duck skin haze since I didn't even get a picture of the actual duck. I was also beginning to suffer a bit of a food coma but I was trying to be strong for the sake of my journalistic integrity. Course 7. Braised chicken. Do not shrug. This was no ordinary chicken. It was, by far, the most flavorful chicken I have ever had. I contemplated sticking a few pieces in my sparkly evening clutch for a snack for the ride home. But alas, the table polished off the chicken before I could snag my to-go pieces. Course 8. 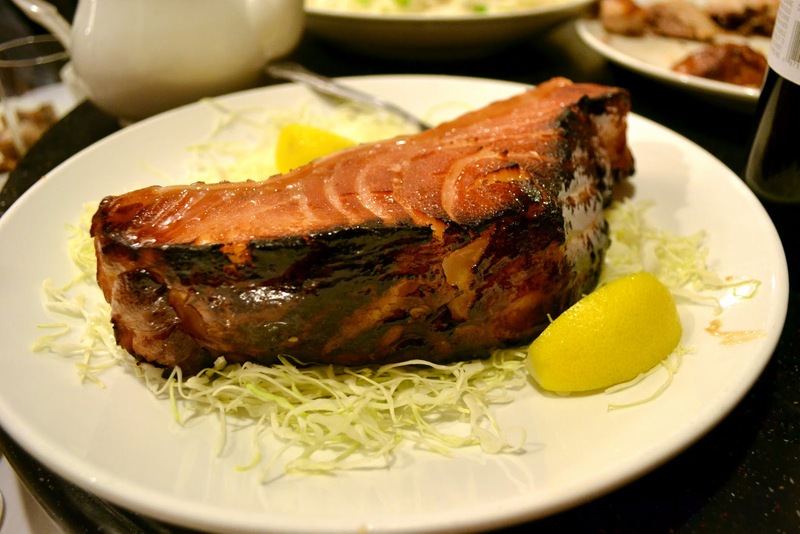 Smoked fillet of black cod. The biggest, most buttery piece of fish I have ever encountered. I don't know what kind of smoking technique the kitchen used but this monstrous piece of fish was cooked perfectly. Course 9. Crab fried rice. I don't care if this was supposed to be a filler. It was delicious and I ate two bowls (even though I felt like I was about to burst). Course 10. Mango mousse. Molded in the shape of a lobster. With maraschino cherry eyes. Weird? Yes. Delicious? Double yes. 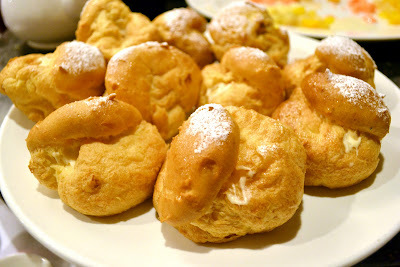 Oh, and instead of wedding cake, there were delicious, giant, cream puffs. And yes, I ate a second cream puff when I realized the table behind us had chocolate covered cream puffs. By the end of the night, the hubster had to roll me to the car. With a big, content, grin on my face. So, if you need a date to a Chinese wedding banquet, I'm your gal. 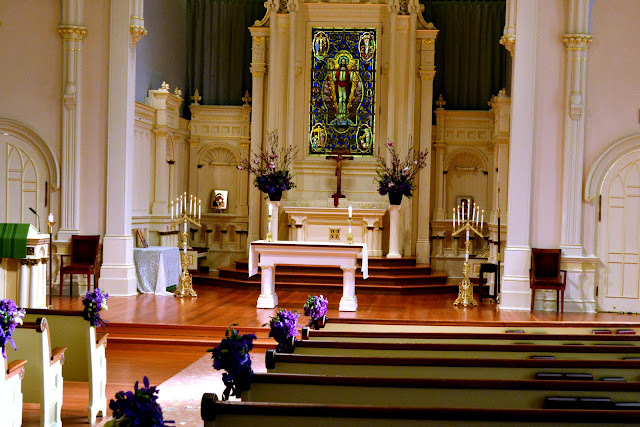 Oh, but I might have to bring the hubster along because he'd never forgive me if I went to a feast like the one above without him. I can soooo relate. 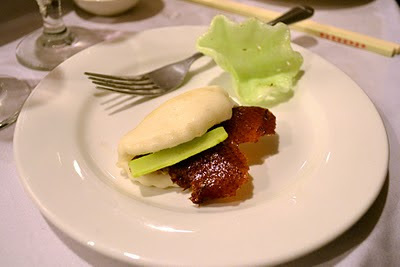 We went to a Chinese/American wedding where the reception was held in Chinatown, NY City. Luckily, they made us dance between each of the 10 courses, clever trick which allows you to eat more and more. the only wierd part was when they served a giant steamed whole fish, and the two ladies next to me dove in with their chopsticks for the eyes. "The Best Part!" they yelled. Ahh, this brings back so many memories... when I was little, I went to lots of these banquets (some wedding-related, some are just general celebrations)! I'm glad you liked the jellyfish - it's one of my favorite items! 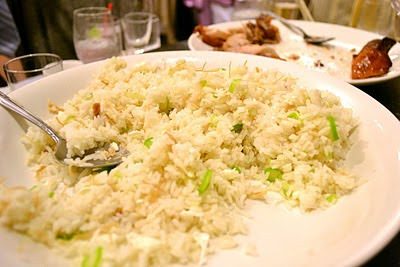 Oh and I'm always the one who wants to eat the rice at the end though because I love rice. I bet I offended many a banquet host. ;) So fun to hang out with you this weekned, Azmina! Vietnamese weddings are the same too. Colin was amazed at his first one. I must say the food quality on these courses is superb!!! Oh my gosh! I'm so hungry now. It's been a while since I've been to a Chinese banquet but I do remember how good all the food is. It was so nice of your table mates to let you take the pictures. i love the pictures. I'm dying to taste duck skin now! Your descriptions were making my mouth water. This was so fun! My sister married a Chinese guy and had a banquet reception in Chinatown the day after her wedding. All I can say is that she and I left...hungry. And a bit grossed out. Even her Chinese husband seemed a bit overwhelmed! We are not adventurous eaters like you are - but I really admire that about you! BTW, I love your description of the lobster course. 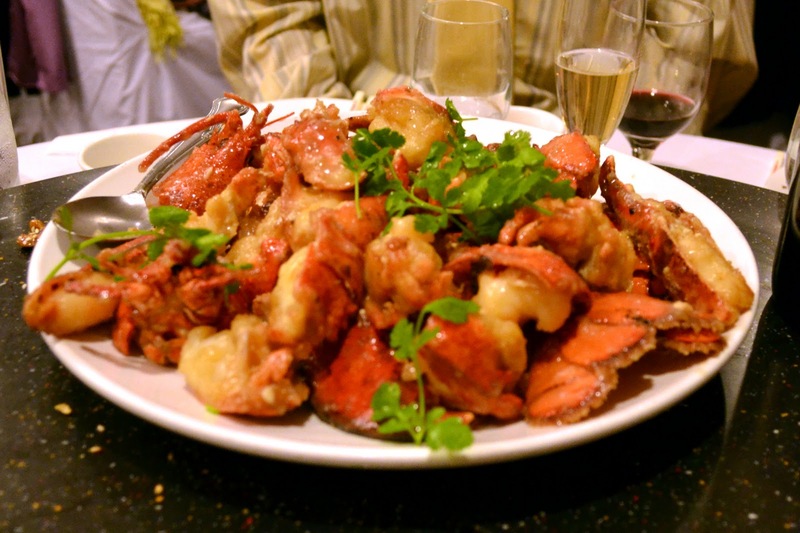 It reminds me of the time I thoroughly embarassed The Boy at a banquet by snatching up several extra helpings of lobster our tablemates didn't want. Ummm...my jaw just hit the ground - what a spendid spread. PS. We take the extra bread crusts to the park or beach to feed birds! Wow, I'm going to the wrong weddings. I would love to try some of those things. Maybe not the fin soup though. How fun, I bet the wedding was a blast and how nice that they let you get photos of everything. Hope you are having a great week. Food is the highlight of any wedding. I mean the couple and the love commitment they are celebrating is of prime importance too, but if the food is bad, that is all you remember? Oh gosh, I sound so mean. The spread looks so lovely, I am hungry now. What an amazing production. I have never experienced eating on that kind of level. I hope once in my life time I'm invited to a banquet of that magnitude. What a feast! I'm glad you had fun. I want some of that food!!! OMG AZMINA okay that 10 course meal was probably 10 of my most favorite dishes -- Duck Skin is probably #1 the jumbo prawns and walnuts omg thats #1 too and the LOBSTER!!! 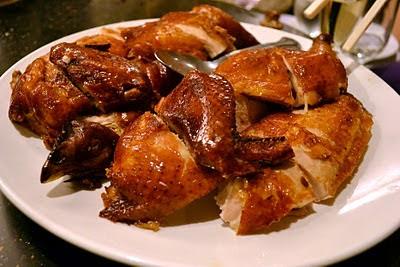 I love banquet style chinese dinners, I always look forward to them. There's one thing I would change though - I'd bring out the rice first! I hope you get to experience many more of these meals as every 10 course meal is slightly different. Thank you for sharing. I love sharing our traditional Serbian food at special occasions with the uninitiated (like my husband who never listens and fills himself with appetizers every single time). I am sure that your Chinese friends were delighted with your curiosity and willingness to try the dishes you were not familiar with. How can you not think about the post-ceremony feast?! I've only been to one Chinese wedding and I wished someone had warned me to pace myself. Like a runner cramping up and crawling to the finish line, I forced myself to taste every. last. course. BTW...my favorite course is the LOBSTER course! Feeeeeed me! I sooo wish I could be that annoying uninvited desi guest you have to bring with you to a wedding. HAHA. Everything looks fantastic! PS-was this the wedding where you wanted to do your hair in the messy ponytail? OMG, what an amazing feast! Lucky you! I wish I was there to devour all that food!!!! Amazing feast - lucky you for being invited to such a decadent affair. I think it is fabulous that you have such a diverse set of friends - it makes life so much more interesting! Enjoy the week!! You brought me back to my husband's cousin's wedding a few years ago, sitting in this big open banquet hall in Chinatown (that got progressively stuffed as more people poured in) and devouring two bowls of shark fin soup. These banquets are the best wedding food you can get, hands down. Awesome snaps! 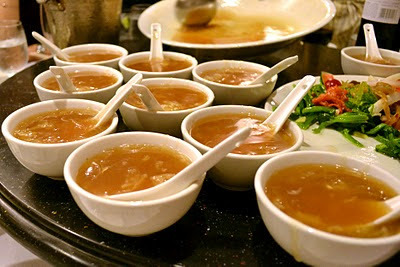 I've been to a big feast like this...IN CHINA! It was a life-altering experience for sure. So now I just need to get invited to a wedding with a Chinese banquet. This sounds AMAZING. We served food similarly at our wedding. We had Italian, but we brought out about 7 courses to each table, serving them family style. Yum! Thank you for sharing all of this deliciousness tonight. I hope you have a happy Friday and a wonderful weekend. I think a proper chinese wedding is the best. The Chinese banquet is seriously amazing. I've been invited a few times, and I can't tell you how much I adore it, every dish is just stunning. Not pretty, but god they taste sooo good! I wish someone could invite me too for such a spread.Alas I still dont have any chinese friends :) I love the lobster shaped mango mousse..quite intriguing. Azmeena... I am so jealous of you! The food looks delicious and beautiful. One of my uncles married a Chinese woman and I remember their wedding being like this. Unfortunately, I was about 5 at the time and had no appreciation for any food at all whatsoever. So it was totally lost on me. I need to get more ethnic friends. Moral of the story. That banquet loooks amazing!! 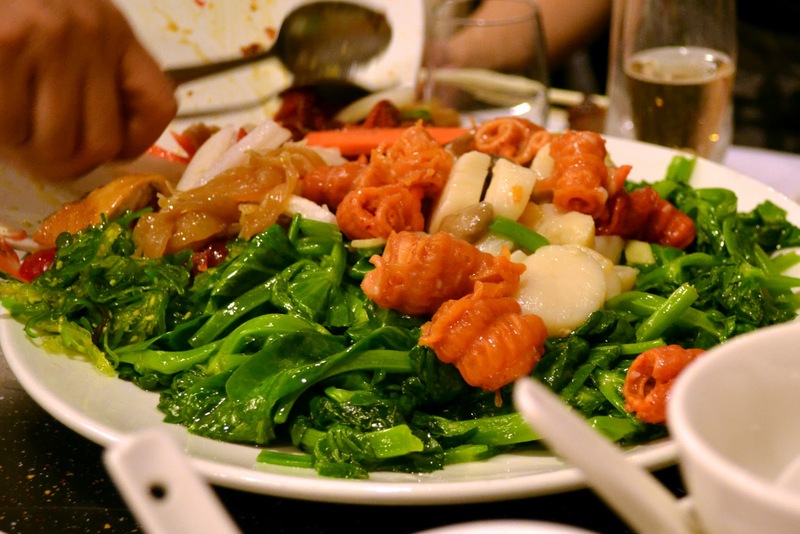 I've never been to a Chinese feast, but now I really want to, even though I'm a boring eater and wouldn't try about half of the things there. But those prawns.. oh yum!! I get the feeling we're traveling in parallel universes...from lemon bars to comfort stew to Chinese feast...a delicious coincidence! Although, I must say, that Duck skin is amazing, that's definitely my favourite! Those look like good and hardy plates of food! The only courses I think I have had before has been seven, eight, and nine. I know what you mean about number seven not being just any chicken!